Ireland is full of photo opportunities for any type of photographer. Obviously landscapes are the first thought, but don't forget the people, flora and fauna. Ireland does present some challenges as the weather can often be wet and windy, but a few simple precautions can ensure the safety of your equipment and good images. Following are some Basic Tips, Ireland Specific Photo Information, Free Tool recommendations as well as Photo Software you'll have to pay for. Following that are some General Tips that are also on our Ireland Travel Tips page, but are photo specific. Make sure you have some practice time with your camera before you leave. The week or day before is not the time to buy a new camera. Get used to it and read the manual so you know how to charge it, change the battery, memory card and settings. Get a good camera bag that will hold your gear comfortably. Don't take to much, just what you'll need. Gear gets heavy quickly, especially unused lenses. I take my Lowepro Slingshot 200 everywhere for two reasons. First, it is less likely to get stolen if it is with me. Second, I won't miss photo opportunities. A camera in the car can get stolen, and can't take a picture of the donkey cart that just rounded the corner. Consider storing your filled memory cards or storage device separate from your camera. That way if it does meet with misadventure, you won't lose everything. Digital is cheap, so take pictures of everything you might want to remember. Take good pictures, don't just snap wildly, but don't be afraid to take pictures of signs and plaques to supplement your memory. I shoot with a Nikon D90 and a couple of lenses, the Nikon 18-200mm (a great all purpose travel lens) and the Tokina 11-16mm for landscapes. You can get good pictures with most digital cameras, but I'd strongly recommend a DSLR with removable lenses for great pictures. You'll focus faster, get less blurry pictures and all around be much happier than with a point and shoot digital camera. Consider purchasing an image storage device (Nexto, Jobo and Hyperdrive are good brands), a laptop or netbook to take with you. Ireland is pretty wired so you can make connections almost everywhere and read your email as well as store images. Take a variety of sizes of zip lock plastic bags. They are good for keeping things dry and storing mementos (shells, rocks...). Take a marker to label the bags. I store my cords and charges in them as well. Consider getting some kind of plastic camera raincover for those wetter days. The following tips are general. You can do more research on your own for subjects like ISO, exposure, filters and image composition. Pre Check - Before you leave in the morning check over your bag to make sure everything you'll need is there. Reset Camera to your default settings, especially ISO and White Balance settings. Plant both feet firmly on the ground. Tuck your elbows against your body. Half press the shutter button to pre-focus. Just before you snap the picture, take a breath and hold it and gently squeeze the shutter button. Use a tripod if at all possible, especially for landscape photography. If you don't have a tripod, brace yourself against a wall, a tree or other solid object. 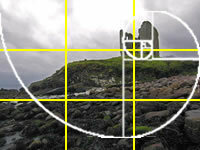 Put your horizon line on one of the horizontal lines using "The Rule of Thirds." Look for repeating patterns, this makes an image visually interesting. Staircases, fences and rows of trees are good examples. Add depth by getting subjects close and far away in your image. Watch what's behind your subject. Don't get a pole growing out of their head. Fill the frame. You don't need the whole body in the image. Just get the upper body and face. Change format from horizontal to vertical where appropriate. If possible, keep the sun behind you or to the side. Get out of bed or the pub and take pictures in the early morning or late evening light. Vary your height. Climb up or kneel down to get different angles. Walk closer to your subject, don't rely on your zoom. You'll get sharper pictures and they'll be better composed. Turn off the digital zoom on the camera. It doesn't do anything except crop your image. Learn to use the manual settings on your camera. Don't rely on the presets all the time. Get a polarizing filter and use it. Take notes about where you are. Take images of signs. This helps reconstruct your trip later. Try and put things back in the same place after use. It makes it easier to find it next time. Always put a filter in the same pocket or in the same place in your bag. Don't set any of your gear down, use it and put it back. It is easy to leave a filter or card on a wall and not pick it up. If you need to change a lens, make sure you're in a dry, clean place without wind. It keeps the interior of the camera cleaner. Put the lens back in your bag immediately. Think about using a polarizing filter. This can enhance the sky color and reduce reflection. Here are some good links for more information about polarizing filters. Another good filter is a graduated ND filter. Because of the extreme contrast between a bright sky or even an overcast sky and the green of the Irish countryside, your images can be either to light in the sky or to dark in the land depending on what you expose for. Following are a couple of links for dealing with exposure and using graduated ND filters. Camera in bag, around neck or in hand. All other equipment accounted for and in bag or pockets. Empty your pockets and replace items in Camera Bag. Check for dust if you've changed a lens. Purchase a travel atlas of Ireland - A good travel atlas will contain the major roads and most of the minor ones as well as all the cities and towns and many sites. You can plan your route and mark points of interest. We always have ours open to the area we're in while traveling and review it each night to plan out the next day. Do your homework - Research the areas you intend to travel through. Look up scenic sites and areas. Make a list and mark the locations on your travel atlas. Read blogs and travel journals. 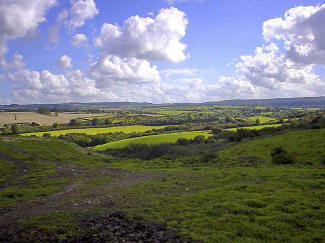 Do image searches of Counties and towns to see recommended sites and areas you'd like to visit. See examples below for photos of sites you might want to visit. Where should I stay? - Consider staying in cottages for a week at a time instead of traveling constantly. It is easier to only unload your luggage once a week rather than every night. If you're staying in B&Bs or cottages, ask your hosts about sites in the area that you can visit either that day or the following day. We stayed in a B&B called Moher Lodge (highly recommended) near the Cliffs of Moher. Our hostess told us to go there after hours near sunset and we wouldn't have to pay and we'd be pretty much the only ones there. On the Dingle peninsula we received some good tips from our hostess Phil at the Suan Tra Cottages (highly recommended as a central location in Co. Kerry). Festivals - Ireland has a lot of festivals. Look up events in areas you'll be traveling in and get in on music events, horse races and other activities you might miss out on. Here are a few links to get you started. When is the best time to take pictures? - As in any location your best light is around sunrise and sunset. This is referred to as the golden hour. This means if you want dramatic lighting, you need to be at the spot at the right time. Tools like The Photographer's Ephemeris can not only locate the direction of the sun and moon, but also show you where to stand to get the best angle of light. Scout out locations the day before and go the next morning or go back in the evening to a site you discover during the day. This is the advantage of staying longer in one location. 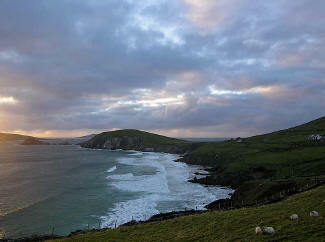 Depending on the time of year, sunset and sunrise can vary drastically in Ireland. In the summer the sun can set around 11pm while in the winter in may be at 5pm. The advantage in the winter is that you can sleep in a little and get good sunset shots and then have dinner. The sun is also fairly low on the horizon all day providing good light almost all day long. Check the next tip below for ways to get the accurate sunrise and sunset times for the days you are traveling. Look up Sunrise and Sunset times - Do some research and look up the sunset and sunrise times in the areas where you'll be staying. By in large it doesn't vary much throughout Ireland unless you're going to the extreme North or South. Use online resouces listed below or download an app for your phone or travel computer. What should I wear? Depends on how you travel. By in large the Irish are less casual in their attire. You won't see jeans and t-shirts as much as in the US. Leave your Hawaiian shirts and Bermuda shorts at home. It is hard not to look like a tourist if you have a camera and/or pack. In large cities attire it isn't an issue unless going to an upscale restaurant or club. In smaller towns consider business casual to fit in. Keep the bright colors and neon stuff at home. Items like a photo vest are at your discretion. In the field they might be helpful. In the city it screams tourist with expensive camera gear. How safe is my gear? - Ireland is pretty much the same as any other country. If you leave your camera gear in plain sight in the car, you'll probably loose it. We've never had a problem, but have heard hard luck stories. We don't leave anything in the car overnight and if our luggage is in the car, we park it in a visible place. We try and find a rental car with a trunk or a cover that you can pull over the luggage to hide it. We don't leave any camera gear in the car. It is either on our person or in our room with us. I've carried a DSLR in my hand all over Dublin and never had an issue. There are areas that might be less advisable, but you probably won't be in those areas anyway. Outside the cities is safe although I'd still follow the same precautions. We prefer staying in cottages so we can leave our luggage there while doing day trips. What about driving? Driving is on the opposite side of the road as the US. So is the steering wheel. It takes some getting used to, but shouldn't put you off. Take your license. Driving in the major cities is a nightmare, so park and walk or get a bus pass. Use your credit card insurance if possible. Drunk driving laws are stiff, so have a designated driver if you're visiting the pubs. Don't be afraid to stop and go back to good photo opportunities. You'll kick yourself later if you don't. Drive slower than you would at home. First the roads are narrower and you can't always see what's coming. Second, you'll see more and be able to stop quickly when you see a good photo opp. Ignore the speed limit signs. You don't want to exceed them, but more often than not, you'll never want to go that fast. Let the locals pass you, slow down at wide spots to let them by. They know the roads and drive much faster than you should ever attempt. Use your phone GPS - Using your phone's GPS, especially if it is connected to Google maps can help you locate yourself when lost and often guide you to sites that you can see from the air, but not the ground. It is also useful for finding roads to sites that are not marked, but you can trace you way to a main road. Other options are an iPhone, iPod touch or iPad . Both can store GPS maps via the MotionX apps and don't require being connected to view the map. The Photographer's Ephemeris app is indispensable for determining lighting conditions and planning photo activities. Take pictures of Signs, Plaques and Maps - Irish signs can be both interesting as photo subjects and helpful in reconstructing your trip. Some of the town names and locations can be difficult to remember and spell. Having a photo will make it easy to remember and be in sequence with your other images. Take pictures of the site signage as well with the details of the site. These are often quite wordy and having a picture makes it easy to read at your leisure. I've also taken a picture of an area map that shows several sites and reviewed on the camera throughout the day. Close up of plaques will give you the detail of the full statue image you just took. Know where you are - Be aware of where you are at all times. There are not a lot of barriers or warnings in Ireland near dangerous spots. Don't keep the camera to your eye and walk forward or back, especially near the Cliffs of Moher. Terrain in graveyards and around ruins are often rough and holes are obscured by grass. Watch where you're walking, especially near the shore. Photographing inside historic sites - First, check as you come in to a site, especially with antiquities to see if they allow a flash. Some locations like St. Patrick's Cathedral in Dublin allow tripods. This is a real asset in the low light conditions. If no one is around, use your common sense and discretion. If you are in a church, don't use the flash if there are others around. Often raising the ISO and steadying the camera on a flat surface can substitute for a flash. Access to Sites - Many sites may be closed of the season or day. Don't let that dissuade you from visiting. As long as you're not breaking and entering, you are probably alright to hop the fence. If the site is on private land, look for a house or person nearby and ask permission. You may be charged a nominal fee, but it will be worth it. Some of the best images at the Cliffs of Moher were taken after the lot was closed. Locals encouraged us to go on in. Other sites like Mellifont Abbey were accessible regardless of time of year. Be aware that you will have to climb over walls for many sites or go over turnstiles. This is normal. Just be careful not to damage the wall or replace rocks that you might knock down. Always close gates when you go through them and watch for restless cattle, especially bulls. Tourists - You are one, but you don't have to be an annoying one. Don't hold up tours or other groups when taking pictures. Be prepared to wait for a clear shot at many locations. You can always take more than one shot and merge them to remove people later if you'd like. A tripod is almost essential for this technique. Other tourists can be annoying and pushy. Be prepared to stand your ground in lines and when vying for a good location. I've had people walk right in front of me and start taking pictures when I am clearly setting up a shot. Be patient but firm as long as you're in the right. Don't block driveways or roads. Remember people live here and don't see the old castle as unique. They just want to get to the store or get the tractor in the barn. What about weather conditions? Plan for rain, dress in layers, have some waterproof gear and you'll be fine. Weather can shift several times in a day and by in large you'll be pleasantly surprised that it isn't as bad as some say. What about power? Irelands electricity supply is 220 volts at 50hz, whereas the United States uses 120 volts at 60hz. You'll need travel adapters for your electronics. Make sure that your electronic device can switch to accommodate 220 otherwise you'll need a travel converter (most include one each of the different adapters). The Photographer's Ephemeris - The Photographer's Ephemeris is a program to assist the planning of landscape photography. Landscape photographers typically wish to plan their shoots around the times of sunrise/sunset or twilight, or alternatively when the moon is in a particular place in a particular phase. While times of sunrise etc. are readily available on various sites on the internet (direction of sunrise etc. less so, but still readily found), there are fewer programs available which combine such information with a topographical map allowing the photographer to match the astronomical to the location. A typical use might be to determine when the sun will set along the axis of a mountain valley, or when a full moon rise will rise across a lake. Image Rescue - Image Rescue is a free tool to recover files from accidentally deleted or corrupted memory cards. While the software is Lexar specific, it appears to work on any brand of memory card. Works with any type of card as well. I've used it on both SD and CF cards. I don't know how long this link will continue to work. I'd recommend downloading it and saving it for future reference. Image Rescue 3 - This is a newer version of Image Rescue from the Lexar site. You have to enter your email address to download it. I don't know how long this link will continue to work. I'd recommend downloading it and saving it for future reference. IrfanView - IrfanView is a very fast, small, compact and innovative FREEWARE (for non-commercial use) graphic viewer for Windows 9x, ME, NT, 2000, XP, 2003 , 2008, Vista, Windows 7. This program will open and display just about any graphic file format including most camera RAW formats. It doesn't take much memory and makes a great photo viewer and batch processor. Picasa - Picasa is free photo editing software from Google that makes your pictures look great. It does basic cataloging, image editing and uploads to Google photo sharing. GeoSetter - GeoSetter is a freeware tool for Windows (XP or higher) for showing and changing geo data and other metadata (IPTC/XMP/Exif) of image files (e.g. images taken by digital cameras). Great for adding geotags to your images after your trip. Links to Google Maps. Adobe Photoshop - The most expensive and robust tool out there. Not for beginners or the casual user, but it will allow just about any kind of photo editing you might want to do. Check for upgrade options or student versions to reduce the cost. Adobe Photoshop Elements - The lighter version of Adobe Photoshop with a lot of basic functionality that does pretty much anything your average user will need. Good all around tool. Adobe Photoshop Lightroom - Made specifically for photographers. Image adjustments can be made without altering the original. Has excellent cataloging and organizing features. This is what I use. Nikon Capture NX 2 - Excellent image editing for Nikon cameras only. Takes advantage of and applies the Nikon in camera settings on the screen. Aperture - Mac only product very similar to Adobe Photoshop Lightroom above. Photomatix Pro - Specialty software for generating high quality HDR images. This is supplementary software to one of the products above. In Dublin, get a city bus tour pass. It is cheaper than the regular bus and faster. You can get on an off the bus at major sites and buses come by quite often. The driver has a running narrative which can be amusing. Make sure you pay attention to what color bus you get on. There are red ones and yellow ones, don't mix them up. Most buses are double deckers and sitting up on top can be fun if you're taking a longer ride and provide some good photographs. It is harder to get off when you have to go down the stairs and to the front to disembark. Another option is the Dublin Pass, it wasn't a good buy for us, but it might work for you. 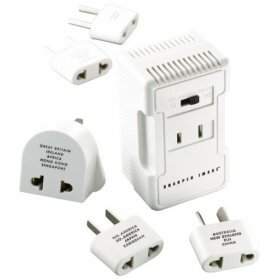 Take travel adapters for your electronics when traveling from the US to Ireland. Irelands electricity supply is 220 volts at 50hz, whereas the United States uses 120 volts at 60hz. Rent your car online prior to leaving, it is cheaper and easier than negotiating at the airport. Use Irish Car Rentals as they have the best prices by in large. Get a manual if you can drive one, they are a lot cheaper than an automatic. Make sure you allow for people and luggage in your vehicle choice. Get the smallest car possible, the roads are narrow, but make sure you are comfortable and have room for your luggage. We found the Opel Zefira to be a good choice when traveling with older people. It is easy to get in and out of and holds a good deal of luggage. It sits up a bit higher than a car allowing for better visibility. An Irish mile can be anywhere from "around the corner" to 10 miles. Plan accordingly when getting directions. If you are told it is a "wee stretch of the legs," tie on your walking shoes. I take a good many pictures when I travel to Ireland. I've used point and shoot , to larger fixed lens cameras to DSLR s. My mileage varies as will yours. The trade off is portability vs. image quality. The point and shoot fits in your pocket or small bag, but you won't get the nice interior shots in low light that you can with a DSLR . Of course you could be a tourist and use the flash, blinding everyone in the pub and shocking the poor musician causing him to drop the family fiddle onto the flagstone floor. OK, you don't want to be that guy (or gal). Learn how to use your camera, turn off the flash and bump up the ISO setting. Sign distances posted could be in miles or kilometers, and are often not labeled with either one, just a number. Most are in kilometers now, but some signs in miles still linger. Distance also depends on the route. There is more than one way to get anywhere on the back roads. Stop and "smell the roses," you may not go by here again. Unless of course, you are near a pig farm, then keep those boots moving. Directions from a local should be taken with a grain of salt. Getting a second opinion will probably make it worse. Doing a little reading before hand won't hurt. Instead of the traditional travel books, try these alternatives. They'll give you some real insight and keep you away from the bad touristy bits. Irish road signs are posted at the road entrance. No advance notice is given. Be prepared to backtrack a lot. Drive a bit slower for self preservation and to read the signs easily. Signs are often partially covered by overgrowth on less traveled roads or missing altogether. Take the boats to the Islands. Blasket, Skelligs, and Aran Islands are all worth the trip. The boat trip from Doolin to the Aran Islands results in a rough ride. Don't take it unless you have a strong stomach and/or motion sickness pills. Aran Direct from Ros a Mhíl (Rossaveal), does a great job of getting you to the Aran Islands. Ireland is green for a reason! Take rain gear (umbrellas don't fare well outside the city), but don't be surprised if you don't need it. Irish weather can change hourly. Ireland is green for another reason, watch where you walk, the country is well fertilized. Climb fences, climb hills, and go through gates to get to sites. Ask permission if there is someone around. If so, you may be charged a nominal fee. Most of the good stuff isn't where the tourists go. Watch for small road signs indicating landmarks, monastic sites and other points of interest. Watch for interesting stone piles on a hill or in a field. Take the back roads, you'll see a lot more. Sit at the bar if you want to talk to people. If you sit at a table they will assume you want to be left alone. You'll get service and not much else. If you sit at the bar, you're fair game. Buy a round or a pint for people at the bar, and you're sure to be popular. If you do traditional travel books, try these. We found them useful in places, but no one book is perfect. When you get your rental car, open the boot/trunk. Check to see that there is a spare tire. Then check if it is the spare tire that fits the car. Don't find yourself out on the Beara Peninsula at 10pm on a Sunday night with a flat and the spare won't fit! If you check the box that says you've been on a farm or in a pasture on your return trip paperwork, you'll have to pull out the shoes you were wearing and have them sanitized. There is usually a separate line at the airport that you have to go through that is marked Agricultural. Either wear the shoes on the plane or have them easily accessible in your luggage. It isn't easy to be in Ireland without being in a pasture at some point. Allow some cushion if you can as this process can take some time.